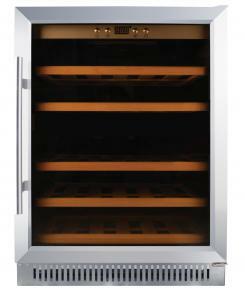 Omcan’s WC-CN-0400 single zone wine cooler is perfect for displaying and merchandising a variety of fine wines. Ideal for restaurants, bars, and liquor stores. 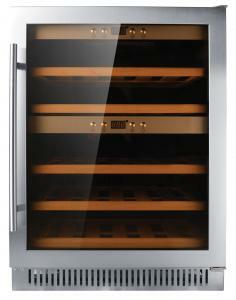 This wine cooler holds a capacity of 81 bottles and the temperature ranges is 5-18°C/ 41-64°F. NET DIMENSIONS: 25.8" x 25.7" x 74.5"